The British taxpayer funding for the queen has peaked at 36.1 million pounds (US$54.6 million), rising 5 million pounds from the previous year. The new Sovereign Grant replaces previous separate grants, rolling them into one large subsidy. It will be used to maintain palaces as the country faces cuts. The Sovereign Grant, used to finance royal duties and transportation, pay staff and maintain palaces, has had the publically-funded boost, topping last year’s sum of 31 million pounds - despite the fact that last year an extra 1 million pounds was allotted for the Diamond Jubilee celebration. The money will cover the year 2013/2014, and the new financial year will begin on Monday. Official expenditure increased slightly from 32.1 million pounds in 2010/11 to 32.3 million pounds in 2011/12. 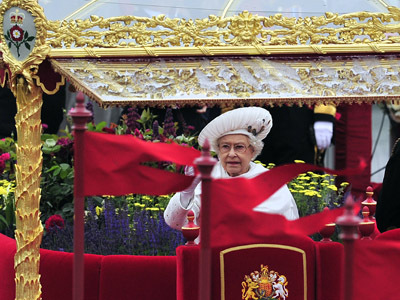 The Sovereign Grant is a replacement for the old UK funding system for the monarchy. Previously, the civil list, and ‘grants in aid’ funded the Queen’s transport and duties separately. The new rise means funds equate to 15 per cent of the profits of the Crown Estate – the body that oversees the administration of the Queen’s properties. 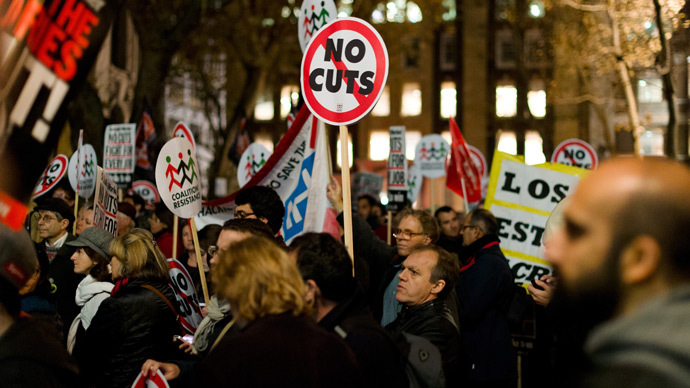 The Crown Estate's 2011/12 accounts show that profits of 240.2 million were reaped from its properties that year. It is one of the largest property owners in the UK. 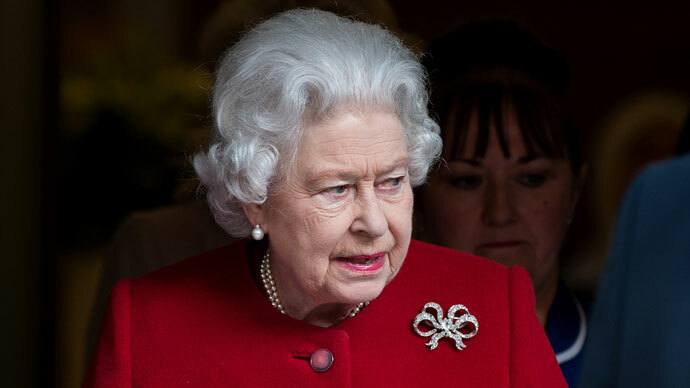 A spokesperson for the UK monarchy defended the increase, saying that in real terms, the grant is 15 per cent less than expenditure five years ago. Some 10 million pounds is contributed towards paying the salaries of the queen's staff, including footmen and chefs. However there has been a freeze on their wages in place for a number of years. On Monday, a series of welfare reforms began to be implemented by the UK government, in the hope of cutting 2 billion pounds from the budget. Some 660,000 people dependent on social housing because of low incomes will lose, on average, over 700 pounds per year through the introduction of 'bedroom tax' - a cut to government-funded support payments, should the occupant of a house have a 'spare' room. A minimum council tax payment will has additionally been broadly imposed, negatively affecting those on low incomes too.